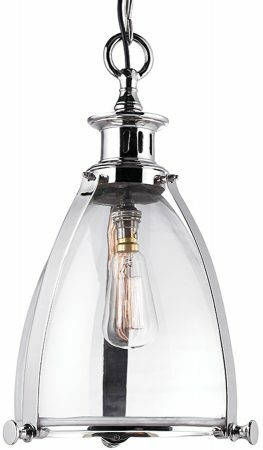 The Storni large clear glass and chrome pendant light, a retro style 285mm diameter clear glass bell ceiling pendant, with a polished chrome outer cage, matching finish shade holder and adjustable height suspension chain. Height adjustable at the time of installation by simply removing one or more of the suspension chain links to a minimum height of 640mm to a maximum drop of 1233mm. Please note that this stunning ceiling pendant light is shown pictured with a reproduction decorative period light bulb and must be ordered separately if required. 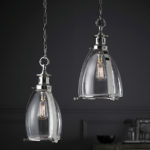 Extra chain can be ordered for the Storni lantern but the cable length is fixed so the longer drop lanterns would need to be rewired with longer cable. If you work out how long a drop you would need for those over 135cm in length and contact a member of our staff on 0151 650 2138, we will be able to assist you further. Does this come in a bigger size? Diameter 400mm for example? 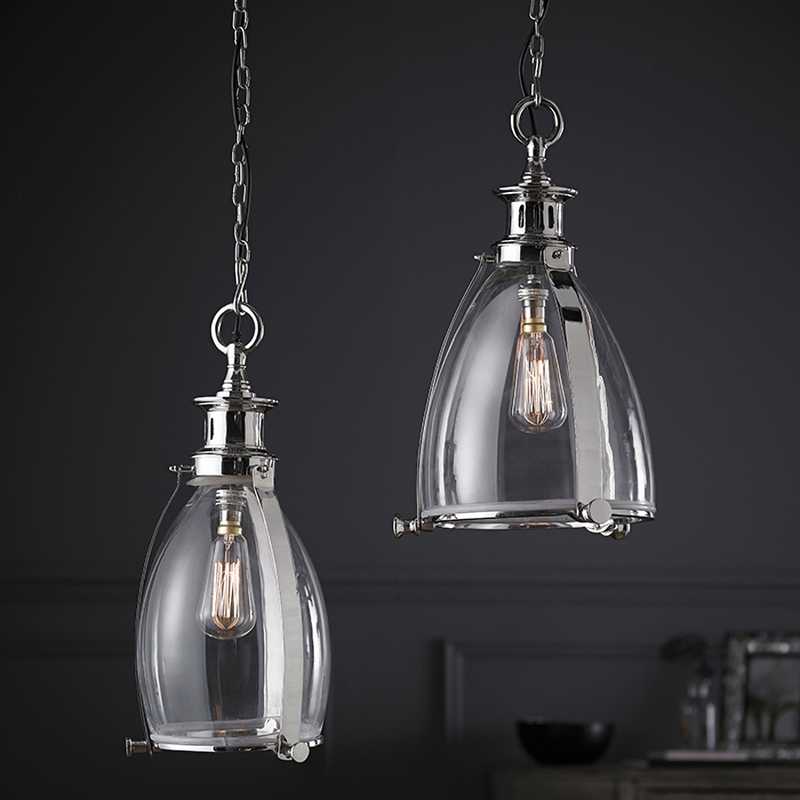 This is the largest light in this particular range, although a search for “industrial pendants” will show the larger styles we can offer.